Brad and I surprisingly have a relatively high number of times that we have gotten sick while on vacation. 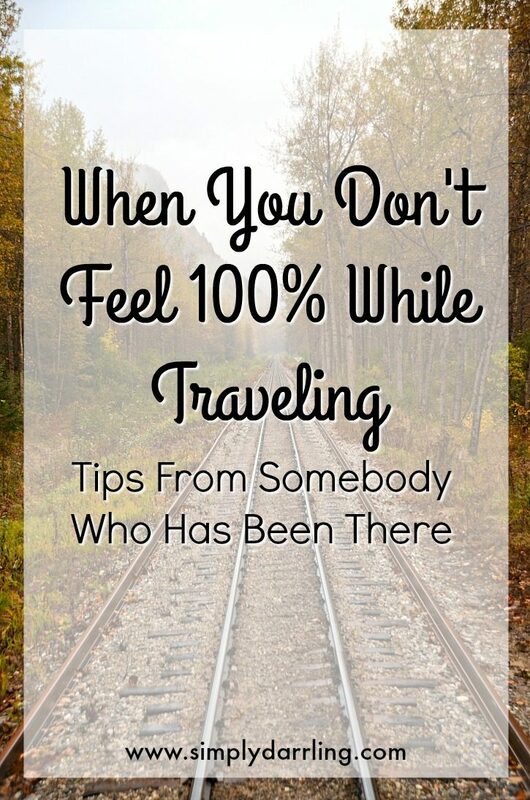 Since we have experienced it multiple times, I have a few tips on how to help get you back to feeling like yourself. Brad and I have been to 2 different Urgent Care clinics in Florida – Brad for a stomach bug (which hit half way through a non-stop cross country flight), and myself for an ear infection just a couple weeks ago in Orlando (let’s just say I know know why babies and toddlers scream on planes, the pressure and pain in my head was super intense). 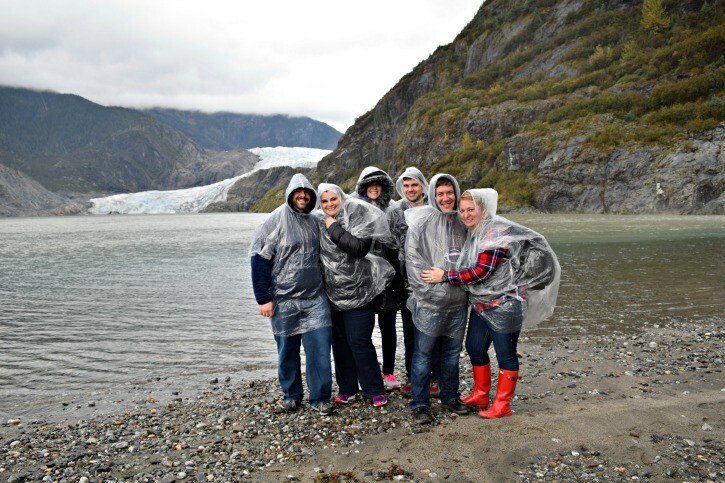 Brad also started not feeling 100% at the end of our trip to Alaska. 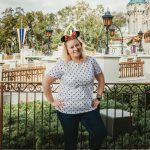 Below I’m sharing a few tips on things to do before you leave, and also some items to pack in your carry-on. Before leaving, check out local Urgent Care clinics near your hotel. Hopefully you won’t need to use this, but it is a lot easier to properly research locations, reviews, and which ones are in-network when you are at home instead of scrambling for the information on your phone. Bring your own water bottle – Staying hydrated is so important while traveling and also while you are sick. If you have your own water bottle, there is no excuse to not always be drinking from it. Travel with a first aid kit – bandages (especially blister ones), antacids, pain killers, nail clippers, etc. These things are easy to throw into a backpack, and if you need them, you don’t want to be searching for a drug store. If you are traveling to a location where drinking the tap water isn’t recommend, you might want to talk with your doctor about bringing a generic antibiotic. I was glad to have some when I arrived in Miami after my trip to Kenya. I ate a fresh salad my final day there which caught up to me a couple days into our trip to Miami. I was glad to have the antibiotics with me already so I could get myself back to normal as fast as possible and get to enjoying some pool time. Bring along Probiotics – If for some reason you end up on antibiotics while on vacation, you will definitely be glad to have some probiotics. It helps keep everything moving along nicely and avoid other discomfort while recovering from whatever ails you. The OLLY Quick Melt Probiotic Sticks are perfect for traveling. In general, travel can be hard on the digestive system so taking a probiotic throughout the trip can help maintain regularity as well. 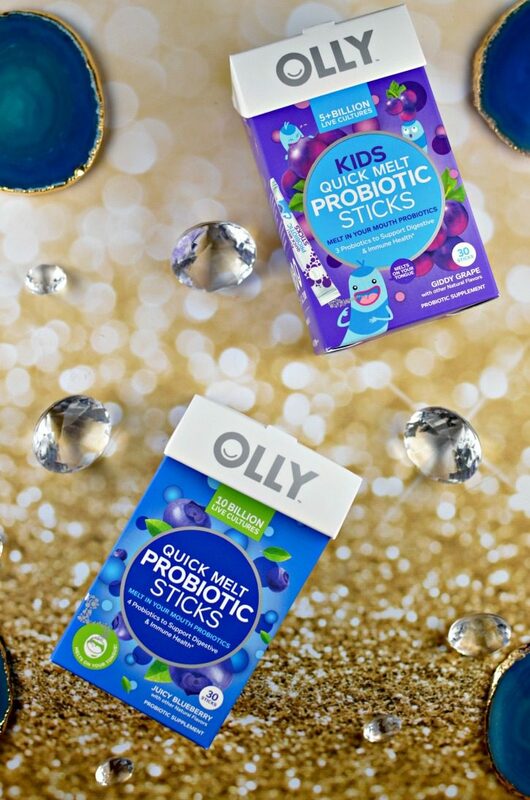 Want to try the OLLY Quick Melt Probiotic Sticks for yourself? Head here to get your free sample, and sign up for a 20% off coupon. What tips do you have for staying in tip-top shape while on vacation? A probiotic is one thing I NEVER think to take with me while traveling and it’s so necessary. Like that ONE thing you may NOT need… but if you DO need it omg it’s a lifesaver. 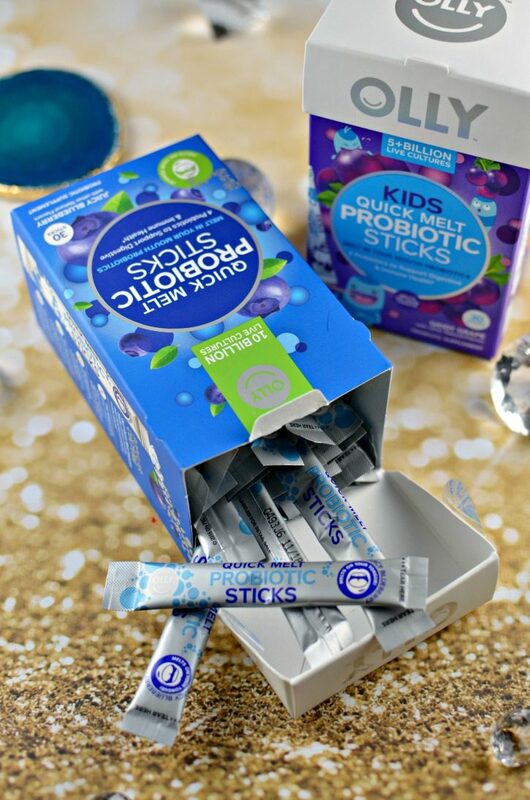 Those probiotic sticks look so handy! And yes I always take along a bunch of different “meds” when travelling just in case. This would be a great addition! These are such great tips! 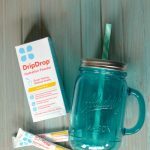 I’ve only been sick while traveling a few times, but each time, I wish I had been more prepared! 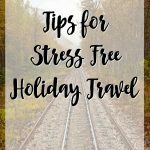 Saving these tips for our next trip!